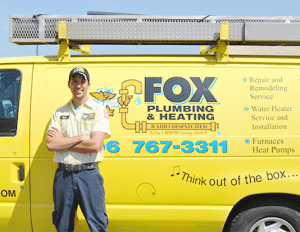 Jose is Fox Plumbing & Heating’s lead on water line repairs, with over 15 years of plumbing and water line experience. 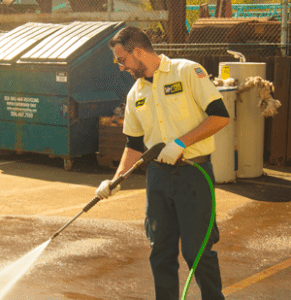 He is one of the most skilled trenchless water line replacement professionals in Seattle, Bellevue, Kent and all of King County. 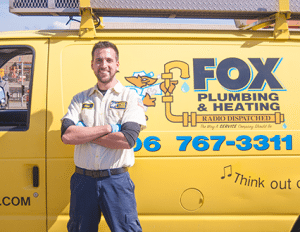 As the lead for the Fox Plumbing & Heating water line team, it’s his job to ensure that every water service that Fox meets the guarantee from David Brown. This type of training has helped Matt to understand all that goes into planning and executing a water line installation. He even feels confident when pricing out water lines. Part of learning to be a plumber means being able to look at a project and to estimate the total cost. Matt has been working this knowledge into Fox’s ongoing training classes. “These classes are really great, because I can learn as I go along. When I’m able to take my test for my Journeyman’s license, I’ll already have a wealth of knowledge.” Matt has already worked up a quote for a re-pipe with our head estimator that was accepted. This past year Matt has been doing locates, and assisting with feeding piping for the water lines. 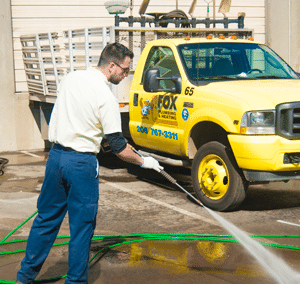 Fox Plumbing & Heating is planning that in his second year he will begin training on directional drill so that he can lead a trenchless water line repair. Remember, if you want to keep small problems from becoming big ones, Think Out of the Box… Talk to Fox!